3 years ago, Apple announced the use of Swift instead of mobile application development language Objective-C, but the Objective-C installation base is very strong, and the application prepared with Objective-C difficult to migrate to Swift, so this decision is not fully realized The As Swift is mainly used for Apple systems, ranking is not expected to further enhance. 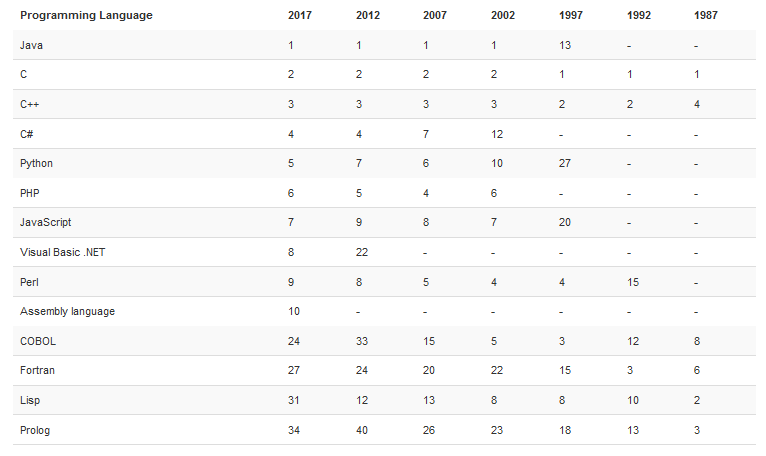 Note: The ranking below depends on the 12-month average. 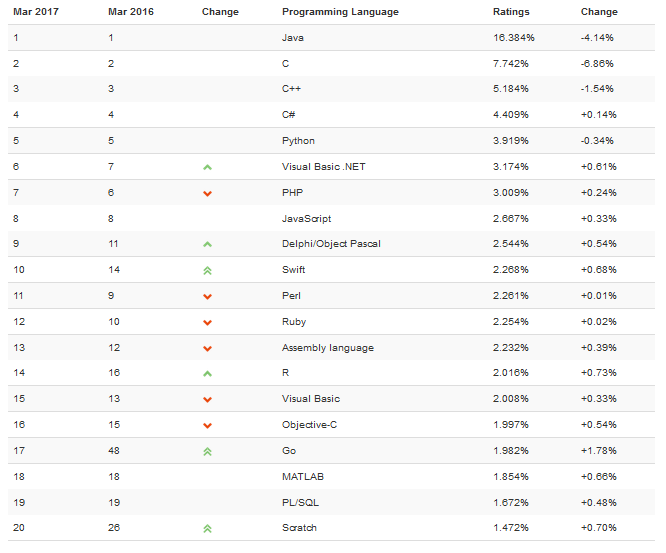 TIOBE Programming Language The Community Rank is an indicator of the programming language trends, updated monthly, based on the number of experienced programmers, courses and third-party vendors on the Internet. Rankings are calculated using well-known search engines such as Google, MSN, Yahoo !, Wikipedia, YouTube, and Baidu. 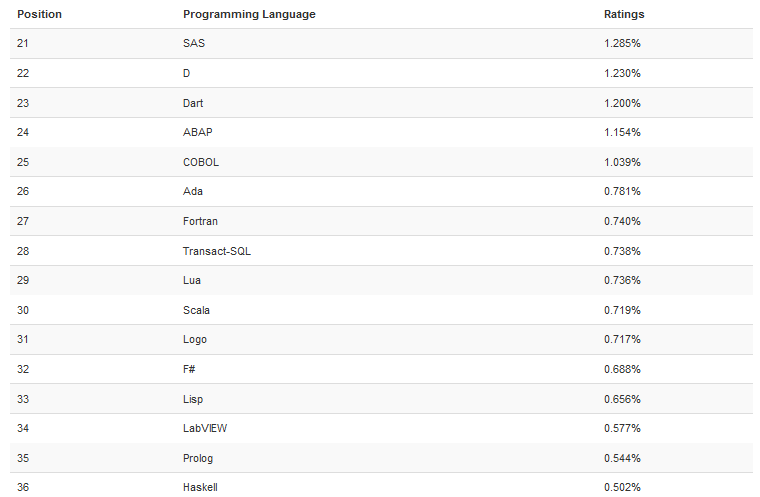 Please note that this ranking is only a reflection of the popularity of a programming language, and can not explain a programming language is good, or a language written by the number of the number of code. 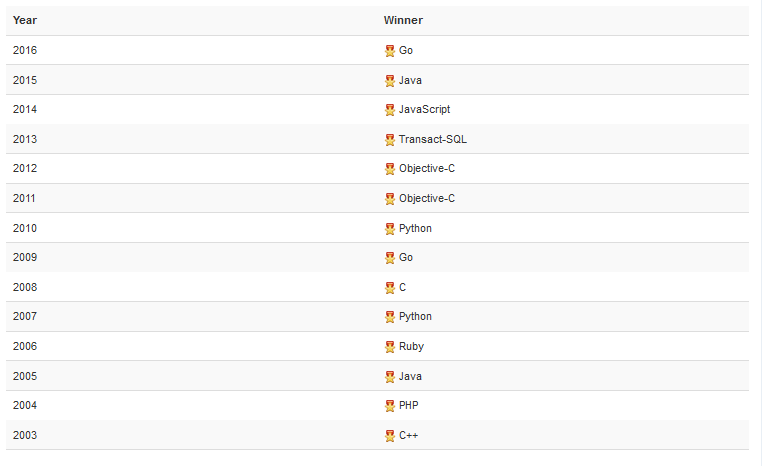 This list can be used to examine whether your programming skills are advancing with the times and can be used as a language choice when developing new systems.